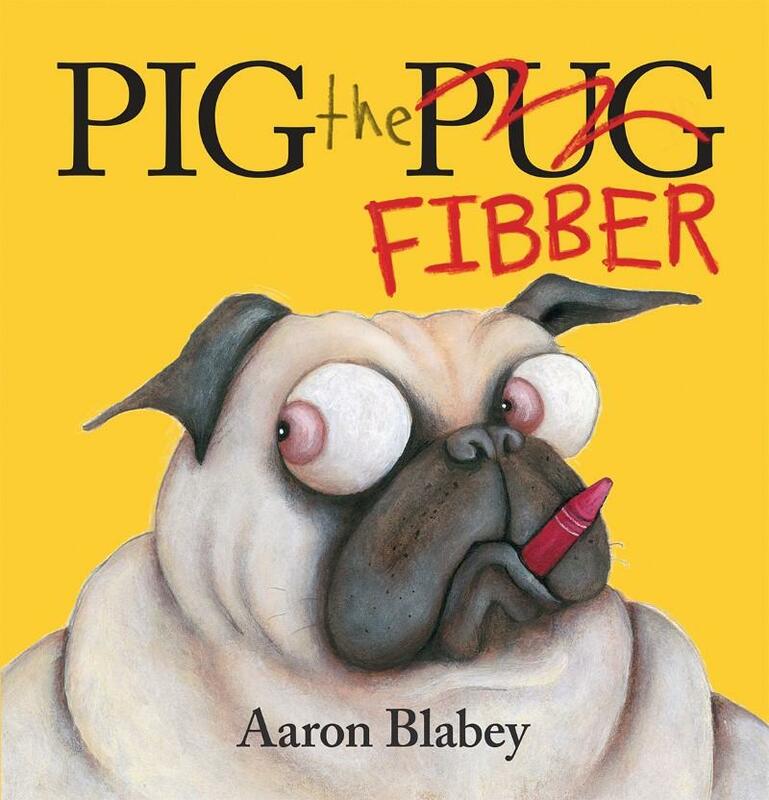 Pig the Fibber, Aaron Blabey (author, illus. ), Scholastic, May 2015. Okay, Pig fans! He’s back! And he’s up to a whole lot of mischief…again! 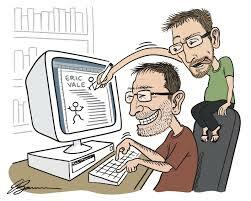 Award-winning author / illustrator, Aaron Blabey, is renowned for his ability to create books with clear morals, but particularly his distinguishable style of outlandish characters in farcical situations…mostly self-inflicted! You may notice this theme in such books as ‘The Brothers Quibble’, ‘The Dreadful Fluff’ (reviews here), ‘Thelma the Unicorn’ (Dimity’s review), and our beloved (or maybe not-so) ‘Pig the Pug’. We first got to meet Pig as a most greedy and selfish little Pug, refusing to share with his sausage dog flatmate Trevor, and even going as far as spitting and name calling. Once again, in ‘Pig the Fibber’, Pig is just as maniacal with his protruding eyeballs and lunatic behaviour! This time, he has learned something, and it’s not a valuable lesson. It’s how to lie… big, fat lies! Literally marking his territory; that is, this book, the naughty little canine has set the tone from the outset. Pig loves to get his own way, and he’s perfectly comfortable hand-balling the blame onto his trusty victim – Trevor. He attacks pillows and smears dog food on the living room mat in a wild stupor. He breaks delicate household items in a crazed hula romp. He even tears up a wedding dress…just for fun. But Pig confesses – it was all Trevor. With absolute disregard for his flatmate’s feelings, Pig ‘lets off’ the biggest lie to be able to sneak into the cupboard to steal more food. 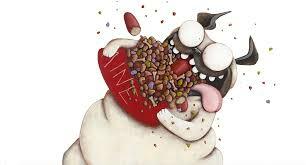 Luckily, one dog is rewarded with the treats he deserves…and it ain’t Pig. Who knew a hard knock would see Pig wrapped up in his own head of truths? Again, just like in the first book, brilliantly hysterical and energetic illustrations that are so characteristically Blabey are expressed in ‘Pig the Fibber’. Be aware of facial expressions to sympathise with Trevor, as the text is so focused on Pig’s actions. The animated rhyming text seems to roll off the tongue. 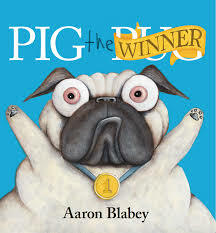 Perhaps it’s slightly easier to read than ‘Pig the Pug’, and it’s equally enjoyable but a hint more crude. We thought that Pig had changed his insolent ways last time, and he has since proved us wrong. Will he taunt us for a third time with more disturbing antics? 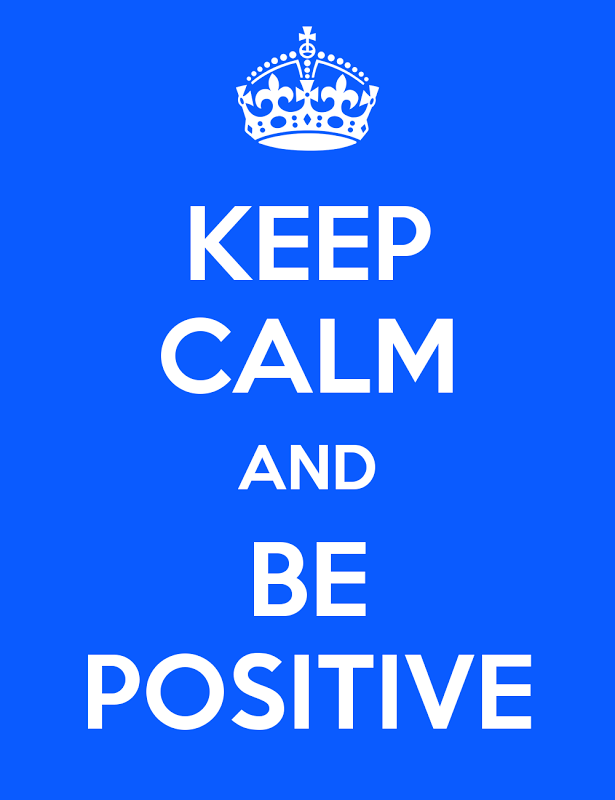 Let’s hope so! 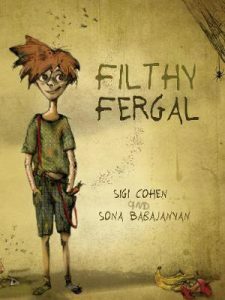 With another clear moral in being truthful and honest (or lack thereof), ‘Pig the Fibber’ is an inexorably amusing and crowd-pleasing book for children of all ages. Happy belated Father’s Day, dads! I hope you were spoiled and adored, as Dad should be on this very special day. In celebration of fathers everywhere, here are my picks for the best new release Father’s Day books. 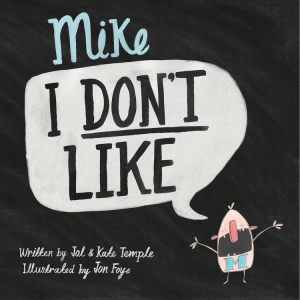 Rosie Smith and Bruce Whatley are back in this sequel to My Mum’s the Best – this time featuring ultra cool dads of all shapes, sizes and orientation, from a strutting rooster (with tickly feathers) to a mouse-shy lion, a mud-rollicking pig and a kooky-looking penguin. 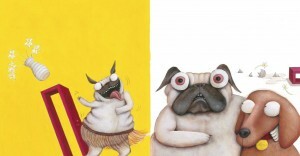 Ideal for the very young, Bruce Whatley’s divine animal friends parade across the page with typical humour and charm. Simple text makes this ideal for a bedtime read. Justin Ractliffe’s striking, modern and totally funky book on dads is taken to great heights with Cathie Glassby’s kooky, childlike and immensely whimsical illustrations. 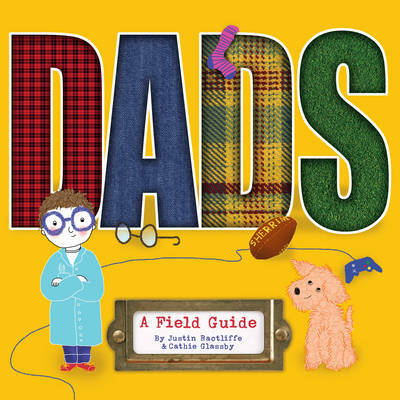 Dads, en masse, are totally represented in this low text book, making it ideal for tots, and I love how they are represented in totally out-there ways – from a dad who wears undies and one who wears boxers, to a dad who’s ever-smart and one a little scruffy. Well, a lot of different things, for it really depends on what dad you have. Maybe it’s building towers or picking flowers. Maybe it’s a note, strategically placed in a coat pocket, or when he becomes a launching pad for little aeroplanes. Every dad is different and that’s what makes them special. 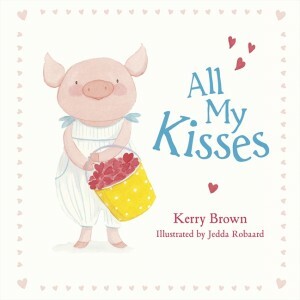 Loretta Broekstra’s charming illustrations make for a sweet book for the younger set. 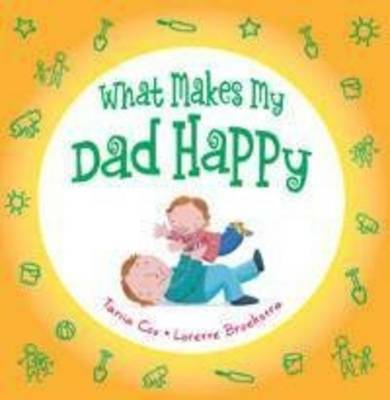 Also in this series by Tania Cox – What Makes my Mum Happy. Review – Fredrik Goes Bananas! Fredrik the gull lives on an icy island where everyone loves fish. Fish for breakfast. Fish for lunch. Fish for dinner. Fish of all types and sizes. It’s clearly no wonder that one day – whilst tucking into his rotten shark fin soup – Fredrik realises something. He’s sick of fish. The townsfolk are so shocked, they think he’s gone bananas. Fredrik knows he has to do something about his fishy problem, so he sends away for some mysterious supplies and starts building a mysterious object. It has a wooden frame and glass panels and is built directly over the hot springs that pouf warm steam into the air. What on earth could he be doing? 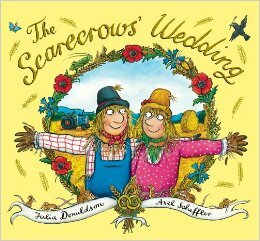 The townsfolk are baffled, his wife is verklempt – she is so dazed and upset by her husband’s antics, she can only be revived by the smell of fresh mackerel! After some time, a very special plant grows in the mysterious greenhouse. I won’t spoil the surprise but let’s just say it’s not only Fredrik who ends up going bananas! This is a sweet, simple story with kooky undertones – my kind of kids’ book – and of course, it’s so easy to love Cheryl Orsini’s divine imagery, as evocative and delightful, as always. Fredrik Goes Bananas! 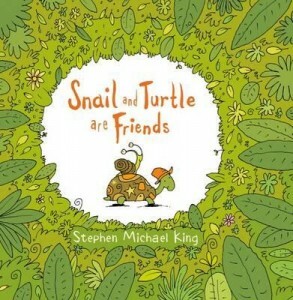 is published by Scholastic. Can a suitcase can be terrible? What could be so terrible about it? Could it be the way it looks, the way it drags on the ground, its awfully bad manners? Or is it what’s contained inside? I must admit I was little nervous about this and was intrigued to find out, but I should have known the secret would simply lie in outward appearances. Clunky old suitcases aren’t cool for just-about-to-start-school kids – no way. Everyone else has super cool backpacks. With torches and drink bottle compartments and super cute stickers. But not our little heroine, who is inexplicably condemned to ugly suitcase hell. Golly, I truly felt horrified for this child, lumbered with this daggy old clunker for no apparent reason at all. As her first day at school unfolds, as grumbly as can be, the suitcase soon becomes a magical focal point for our narrator and her classmates. It’s a toolkit, it’s a super computer, it’s an integral part of a spaceship game – and a vessel for those all important spacefood sticks. In this way, its super presence brings a group of uneasy first-day kids together, offering comfort as well as friendship. This is a lovely story on not what a suitcase is but what it could potentially be, however, the ending is confusing, with no tie in to preceding text or imagery and no effective wrap-up. Freya Blackwood’s iconically sketchy illustrations are beautifully and most typically whimsical and gorgeous, and help lend form to an otherwise charming story. 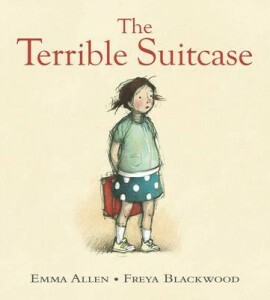 The Terrible Suitcase is published by Scholastic. So lovely to see classic characters from a classic Aussie author, consistently revised and updated and brought into the current kid consciousness. And how can anyone resist these adorable May Gibbs icons – let alone kids? 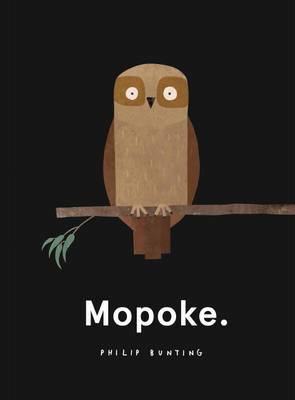 This large format, hard cover book opens with a wallpaper of character endpapers, then introduces the reader to Snugglepot and Cuddlepie, high in a gum tree, resplendent in their gumnut hats and loin cloth leaves. 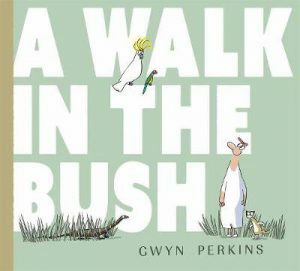 Through the book, readers will be treated to an abridged version of the tale, introducing us to Mrs Kookaburra, Mr Lizard, Ragged Blossom and a trapped possum, who needs help from his new friends. Meet Snuggle Pot and Cuddlepie is published by Scholastic Australia. Leo is an odd kid. And, alas, odd kids rarely have friends. Well, actually, he does have one friend . . . his guinea pig, Alan Nesbit Kirk; a guinea pig who believes nothing special ever happens to Leo. He even tells him so. ‘Nothing interesting ever happens to you,’ Alan Nesbit Kirk says to Leo one sunny day by the guinea pig cage. Leo agrees. Nothing interesting ever happens when other kids think you’re weird. I must say, being able to talk to a guinea pig doesn’t, in my book, count as weird. It kind of counts as super cool. And it’s not only guinea pigs Leo can talk to. Pigeons. Dogs. School lab rats. He can truly talk to the animals, and little does he know that Mozz – the coolest, smartest girl in school – knows this. She knows because Alan Nesbit Kirk told the cat next door who told a passing cockatoo who told Mozz’s gran’s giraffe who told Charlie the gorilla, who then told Mozz and her gran, the very clever Dr Drizzsock. Frankly, you won’t believe what Mozz and her gran are up to behind closed doors. Astonishing stuff. 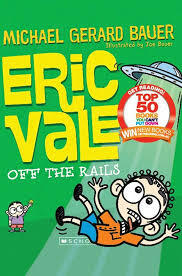 When Leo is approached by a gorilla on a skateboard who leads him through a mysterious, hologramed volcano to Dr Drizzsock’s hideout, well – that’s only the tip of the iceberg in this rollicking eco-warrior adventure. After a trip in a supersonic aircraft made of recycled drink bottles and fueled by rotting banana skins and disposable nappies, Leo finds himself on an Indonesian island, tasked with saving a group of endangered elephants, about to be swamped by a tsunami. This may all sound far-fetched, but much of the bones of this story and its sustainability and endangered-species messages, are very real. For an early reader book, this is some highly-detailed, richly woven story, nonetheless told clearly, simply, engagingly and with a hefty dose of humour . 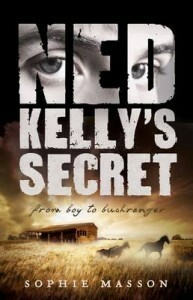 . . a combination author Jackie French does so very beautifully. 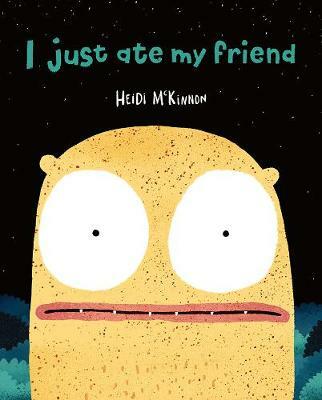 Leo and his first animal rescue adventure is a madcap read that hones in strongly on several important messages that don’t charge at children like a spurned elephant, but rather implant themselves gently into sponge-like little heads. I’m loving the factual references at the end of the book that add an extra dimension to this mostly-fiction tale, and I’m gagging to grapple with that gorgeous gorilla in Gorilla Grab. These books are really great fun, and I’m sure the astonishing adventures of Leo and Mozz have only just begun. 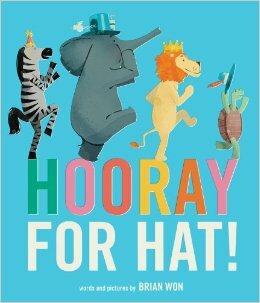 Elephant Alert and Gorilla Grab are out this month, published by Scholastic. 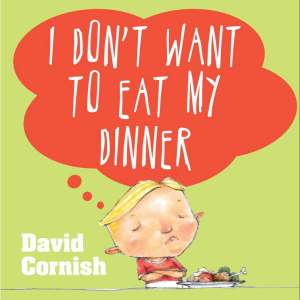 Ideal for early readers or for kids struggling to read – ages 6 – 10. I can still remember laying eyes on my first hologram as a child – and, many decades later, they’re still so much fun. I’m loving the covers of this new Ready to Read (pre-level 1 through 3) series from Scholastic, written by Sarah Creese and designed by Karen Morrison. The full front cover is hologramed, with some pretty full-on imagery (that shark is freaking me out! but isn’t that what kids love?) and yes – it features that lovely scratchy texture that scrits and scratches like a DJ on a pop rock high. Designed for kids to read alone and introducing longer sentences and fact boxes, the books run to thirty pages and feature large text and fabulous full page photos, labeling, phonics and plenty of ‘Did You Know’s. A quiz and dictionary at the end of each book are ideal for extension, as are references to key words. 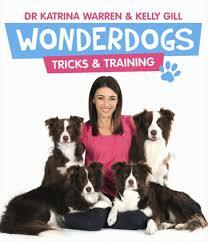 Excellent for schools, homeschooling and parents who want to extend their younger children with interesting facts. Given the topics covered and the sophisticated information contained within, these books would be ideal for older boys who are struggling to read. The Ready to Read series is published by Scholastic. Ben & Duck is a beautiful story about a boy who befriends a curious and fun loving duck. Written and illustrated by Sara Acton for readers aged 3 and over, Ben & Duck is the story of a boy who goes to the park and meets a duck who becomes his special friend. Duck isn’t just ‘any’ duck. This duck squeezes under hedges, climbs trees and follows Ben everywhere…until he hops on the bus. Ben & Duck is a story of friendship and sharing and what it’s like for a boy to have a true friend. They accept each other’s differences unconditionally and find common ground for their play and friendship. Ben & Duck are happy to play games and eat food that’s different from what their first choice might be. With these themes gently introduced into the book, Ben & Duck lends itself to discussion both in the classroom and the home. Ben & Duck is a very simple story with uncluttered, expressive illustrations and a gentle narrative as Ben and Duck develop their new relationship. The beautiful watercolour images are full of movement and tenderness. 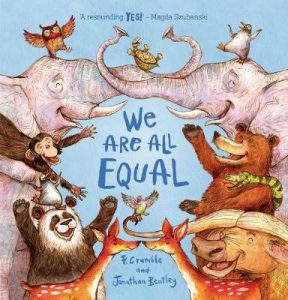 This is a heartwarming story that will appeal to young readers, especially those who love animals. 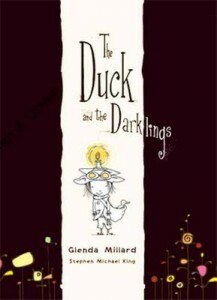 Ben & Duck is published by Scholastic Australia and comes in 32 page hardback format. Nick Bland’s new picture book, Some Dads has been released just in time for Father’s Day. It heralds the return of the star of the best-selling, The Very Cranky Bear. This is another story about why Dads are special. Whether Dads are naughty, careful, in a hurry or loud, they are special to their children no matter what. 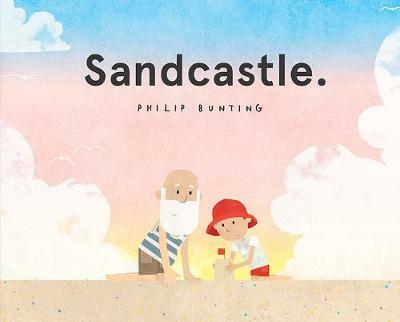 Every spread in this colourful picture book features a Dad from the animal kingdom doing fun things with their children, just like human Dads. There are bears and elephants, peacocks and giraffes plus an assortment of other animals frolicking with their kids. 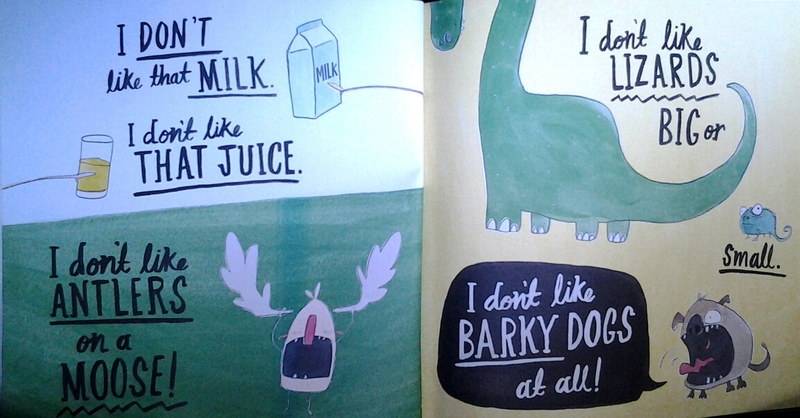 Some Dads features vibrant illustrations and clever humour. Each spread shows a father-child relationship that will make kids giggle and Dads smile proudly. This is a great book for Dads to read to/with their children. Best-selling picture book creator, Nick Bland, brilliantly captures the simple joys all dads bring to everyday life. Some Dads is published by Scholastic. 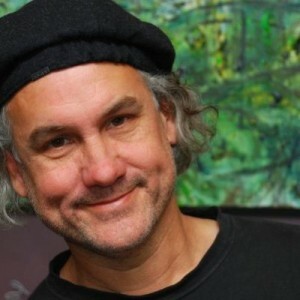 Today we have a very special guest at Kids’ Book Capers. Ike, the star of the Grim and Grimmer series has promised us an EXCLUSIVE interview. 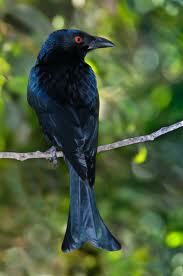 He is here to talk about his latest adventure, The Calamitous Queen. Please be kind to him. He’s never been interviewed before and he’s a bit shy so he’s also brought along his best friend, Mellie. 1. Ike, you have been on such a journey throughout the Grim and Grimmer series. Can you tell us how your adventures have changed you as a person? ‘And accidentally betrayed the princess,’ Dee says helpfully. ‘That doesn’t exactly sound like a compliment,’ says Dee. ‘I’ve had to, the way you keep getting me into trouble,’ mutters Ike. ‘I think Dee’s got the point,’ says Ike. ‘That was the most painful lesson,’ says Ike. 2. Can you tell us what you like most about your best friend Mellie and why you became such good friends? Ike stirs, as if to say, But I got you through your Reckoning, then smiles and closes his mouth again. He doesn’t need to say anything. 3. What is the worst thing that happened to you on your journey? He rubs his bony jaw. ‘No, I think it was the time I had to fight the dreadful night-gaunt in Emajicka’s palace, to stop him tormenting Pook and the other Collected children and stealing their nightmares for Emajicka to bathe in. That was the most awful time I can ever remember. Yet I’ll never forget how brave little Pook was, trying to hold off the monstrous night-gaunt all by himself.’ (Ike brushes away a tear at the memories). 4. What is the best thing that happened to you on your journey? Ike gives her a sly, sidelong glance. ‘But no, the best thing that happened, the very best in my life, was meeting Mellie and plucking up the courage to ask her to help me, after she’d stolen my magical pen. Mellie’s the first real friend I’ve had, and definitely the best thing that has ever happened to me. (Mellie boxes his ear, though she is wearing an enigmatic smile). 5. Where to next for Ike? Well, Ike’s a Gate Guardian now, though admittedly a very young one, and it’s his duty to guard the four gates into Grimmery and protect this brave little country from all the terrible enemies lurking outside. And none of them have given up. The Fey Queen Emajicka still wants Grimmery back. Grogire the firewyrm still wants revenge for the dreadful humiliations Ike and Mellie made her suffer, and the Demon Spleen, who is now the Duchess of Darkness, still wants to make them pay for Mellie’s stealing the Bloody Baton and Ike’s burning a hole though the wall of the underworld. Oh, and Nuckl never forgets. He still wants to eat Ike’s liver. In this final book everything comes to a head and if Ike doesn’t defeat the evil Emajicka, his good friend Mellie will perish and Grimmery will be destroyed. And even if Ike saves Mellie, has her family been burnt alive by the evil Fey Queen’s minions? To make matters worse, Mothooliel is out to steal Ike’s eyeballs, Spleen and Nuckle want to eat Ike’s innards, and Grogire the Firewyrm plans a disgusting death for him. Then there’s the ongoing conflict between Lord Monty and his newly reattached head. Emajicka and her army of a million Fey are marching on Grimmery, and if Aurora isn’t crowned very soon, the kingdom will be lost – possibly forever. Ike must get the Book of Grimmery to Aurora in time to prevent this from happening, but how can he when he doesn’t even know where it is? 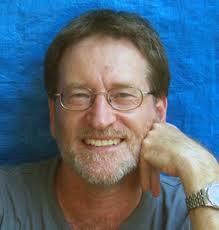 In The Calamitous Queen, Ian Irvine ties up all the loose ends for the reader. We see Ike come full circle and realise how much he has changed and grown over the course of his adventures from the clumsy boy who couldn’t do anything right to the Gate Guardian everyone is relying on to save the world. Ike finds out who he really is in both the literal and spiritual sense and Mellie faces her Reckoning. There is so much at stake for all the characters in this book. Will Pook free the Collected children and how will Lord Monty overcome the ultimate act of betrayal? 14 year-old Ike has the fate of the world in his hands in this book. As well as the non-stop action, the humour keeps coming right to the last line of the book, even finishing with a bodily function. The Calamitous Queen is a hilarious and exciting end to the four book Grim and Grimmer series. You can find out more about the series by dropping in to the other great blogs that Ian is visiting on tour. As you’d expect from bestselling and popular Australian picture book creator, Nick Bland, his latest offering, The Aunties Three is a riot of colour and fun. practise your manners and muffle your noise. for coming this way are The Aunties Three! 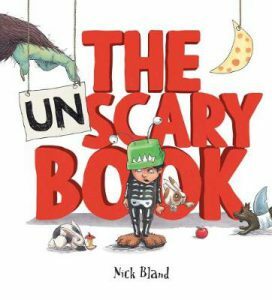 Although I have to admit those Aunties Millicent, Alma and Ingrid are downright scary, Nick Bland still manages to bring hilarity into the picture – replacing fear with awe. take a deep breath and open the door. 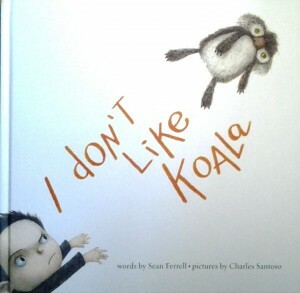 The kids in this book are full of fun until the aunties arrive. As soon as there’s a knock on the door they try and put on their best manners, but no matter how much the children try to impress, it’s just not going to happen. These Aunties are not just scary looking, they’re bossy and demand tea, shoe polishing, foot rubs and sweets. First the cat steals Aunt Millicent’s hat, then Aunt Alma sits on the broken chair, then there’s the cooking accident that puts paid to Aunty three who is determined to stay for tea. 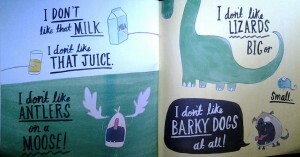 I loved the hilarious and expressive illustrations The Aunties Three. There’s so much movement and liveliness in these full colour pics. I loved the facial expressions on the characters – the fear of the children, the arrogance of the aunts. There’s the quirkiness of what the kids are wearing – the toddler dressed in a pig’s outfit, the boy with the colander on his head. Added to that are the background details; the flying books, the cat drinking from the milk jug. 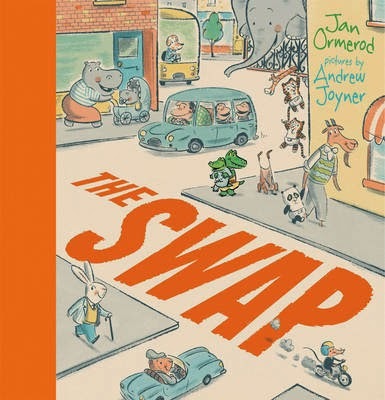 The rhyming text is engaging and hilarious and moves the story along at a frantic pace that will keep young readers mesmerised. I also love the way this book ends. Nick Bland builds up the tension with the Auntie’s arrival but the ending has an optimistic resolution that would allay the fears of any child who might have been worried about fierce aunties like this turning up at their front door. Alpha Monsters, written and illustrated by Chris Kennett offers a fun and innovative way for children to learn their alphabet. It’s an Alphabet book with a story. The hero, Freddy is in his tree house when lightning strikes and hurls him into whole new world. He lands on a strange jungle floor where he encounters a sobbing monster. 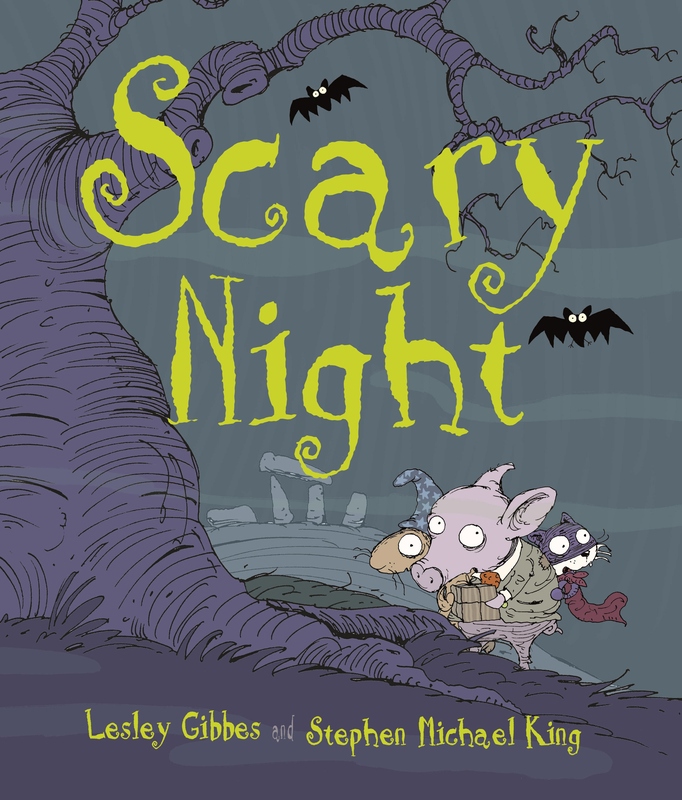 The monster has a problem that kids will definitely relate to – he has lost his teddy. 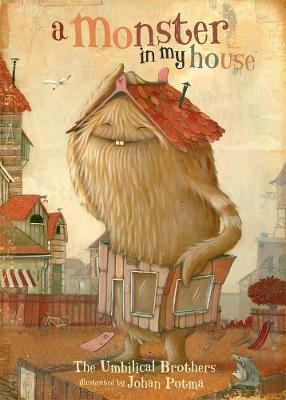 The sobbing monster is Monster “A” and he has twenty five friends in his world, all named after letters of the alphabet. Freddy journeys through this amazing world with Monster “A” in search of the lost toy. They are all very busy little monsters going about their typical day doing fun activities like ice skating and visiting the beach. By visiting the other monsters at play and helping Monster “A” retrace his steps, Freddy helps him find his lost toy. This book will appeal to small children on so many levels. There are the cute Alpha Monsters and the cheeky smiling Freddy, there’s the adventure and the lost teddy problem that is something they will have experienced. Freddy helps Monster “A” remember where he left Teddy by going over everything he did that day – this is the same method a parent would use to help a small child find a lost toy. At the end of Alpha Monsters, there’s a colourful double paged spread showing all the alphabet monsters getting up to their special antics. So young readers can go through the alphabet in a fun way all over again. 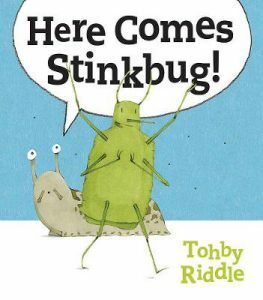 Reader aged 4+ will love the cartoon style illustrations and the rhyming text makes this a fun educational experience for the whole family to share. 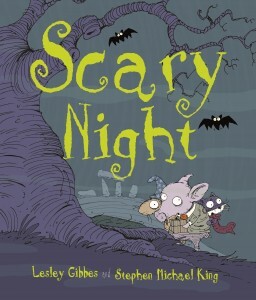 Alpha Monsters is published by Scholastic. The Pup’s Tale is the latest book in Sally and Darrel Odger’s Pet Vet series from Scholastic. It’s book number 6 and the story is told from the point of view of Trump, The Animal Liaison Officer (ALO) at the Pet Vet Clinic. Trump the dog lives behind the veterinary surgery belonging to her person, Dr Jeannie and travels with her to house and farm calls. Having acute dog senses, she often works things out way before the humans. In The Pup’s Tale, main character, Trump is in a tricky situation. She can see that Goldie the Labrador isn’t coping with her brood of fifteen new puppies and one in particular isn’t getting enough food. Trump knows that Tiny, the runt of the litter isn’t going to survive long without help, but how can Trump convince the humans that something must be done? Although most of the characters in this book are dogs, they’re still very ‘people like’ in their perceptions and qualities, and will be easy for young readers to relate to. Trump is a bright, determined Jack Russell who thinks she might have the perfect solution to Goldie’s problem. Authors, Sally and Darryl Odgers often come up with ideas for books while walking their own Jack Russells so it’s hardly surprising that Trump seems so real to the reader. 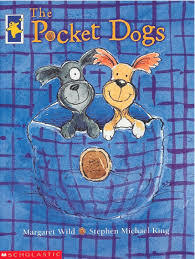 The Pup’s Tale is an engaging story and it’s also great for teaching young readers about how to look after their pets. 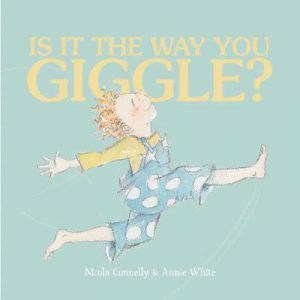 The book has vocabulary and definitions to extend literacy skills and will provide entertainnig classroom reading. The text is broken up by side bar definitions like Caterwauling – a loud squalling sound cats make when they’re annoyed or challenging other cats. Janine Dawson’s lively humorous black and white illustrations are scattered throughout The Pup’s Tale. The Pet Vet series is written for readers aged 6 + and they won’t be able to resist the cute photo of Tiny on the front and back cover The Pup’s Tale. Little Mates is a colourful new series from Scholastic for children aged 3 +. There are 26 pocket-sized books designed to fit easily into a handbag, nappy bag or backpack. 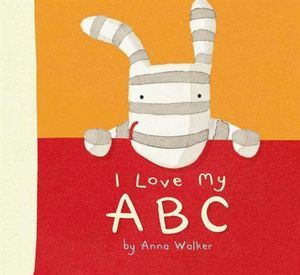 Each book features a letter of the alphabet so the books are both educational and fun. The Little Mates series is written by Susannah McFarlane and illustrated by Lachlan Creagh. Susannah has been writing since she was seven and is the author of the EJ12 Girl Hero series. You’ll see when you read the books that she is a big fan of alliteration, which is something that young readers seem to enjoy too. 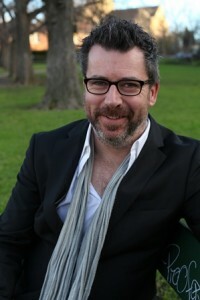 Illustrator, Lachlan Creagh is also a concept designer and illustrator whose work is inspired by nature. He likes to create original visions full of life and imagination and his hilarious, colourful pictures help McFarlane’s words to leap off the page. 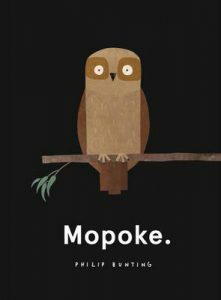 The alliteration makes these stories fun to read aloud and each one features an endearing Australian animal. The 26 books enable readers to work their way through the alphabet in a fun way and each has the applicable letter of the alphabet on its spine so that by lining up the whole series, readers will have the entire alphabet laid out for them. In the first book, we meet Amelia, the most athletic ant on the anthill. She is an astonishing acrobat and an amazing tennis ace. Then there is Bouncy Ben the bilby who has a batch of beaut bush buddies, and Cuddly Callum the cockatoo who has a collection of cheerful chums. Daredevil Declan the dingo likes to dart and dive and Energetic Elliot the emu is excellent at eating but his exuberance can lead to emergencies. Finally, there’s Friendly Fred the fairy penguin who feasts on felafel and plays a ferocious game of footy. 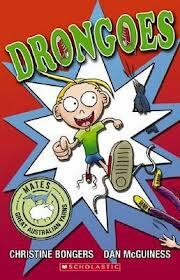 In each book the main character goes on fun adventures with their friends. 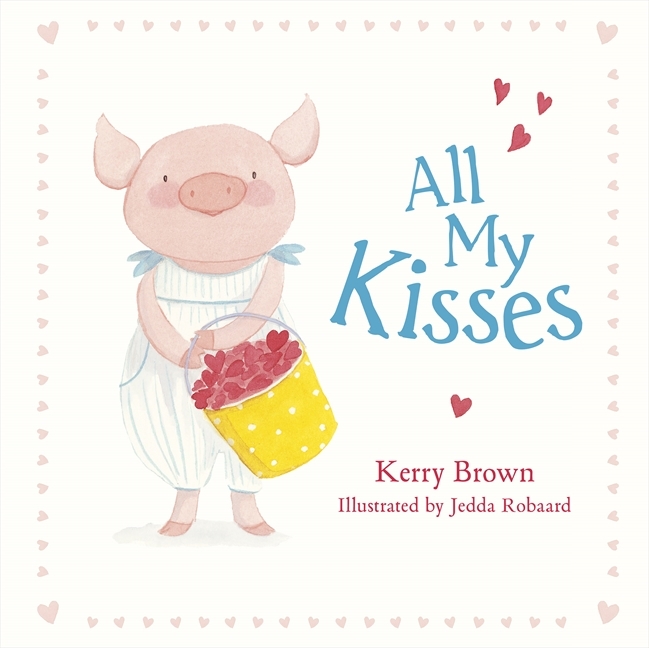 As well as introducing readers to the alphabet and fun words, these books also present personal concepts like friendliness, loyalty and ‘giving things a go’. 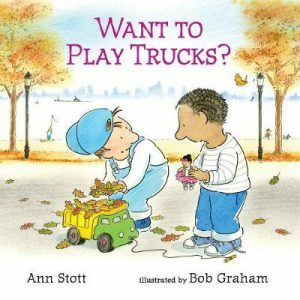 I’ve noticed recently that there seems to be an increasing trend to attach giveaways and merchandise to picture books. Harvey the Boy who Couldn’t Fart (Walker Books) came with it’s very own fart machine and I have seen books sold with stuffed toys, jewellery and other paraphernalia. From a marketing point of view, this probably works otherwise publishers wouldn’t do it. I’m not sure if I like this trend or not, but then I guess I’ve never been the sort of person who buys something because of the free steak knives, or onion peelers. 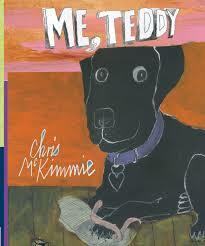 To me, a well written and illustrated picture book will stand on it’s own. 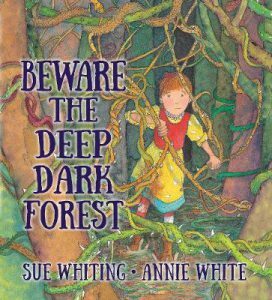 It doesn’t need anything else except strong words, vivid illustrations and a great story. But there are exceptions to every rule. Some stories come with accessories that perfectly complement the kind of books that they are. New Frontier recently released The Sorcerer’s Apprentice based on the poem by Goethe and the famous piece of classical music composed by Paul Abraham Dukas. Written by Tom Skinner and illustrated by Annie White. The Sorcerer’s Apprentice picture book comes with it’s own CD and seeing as the book introduces young children to classical music, it seems to be a perfect fit. It is a timeless coming of age story where the main character Rizwan battles temptation and laziness in order to learn patience. 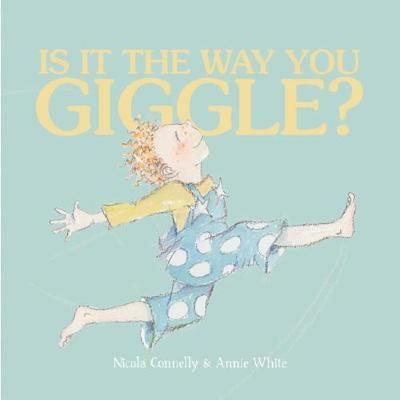 The CD fits with the story and offers the added benefit of familiarising children with classical music. Another picture book that combines words, illustration and music in a seamless way is Never Smile at a Crocodile written by Jack Lawrence & Frank Churchill. Published by Scholastic, Never Smile at a Crocodile is also based on a timeless story. 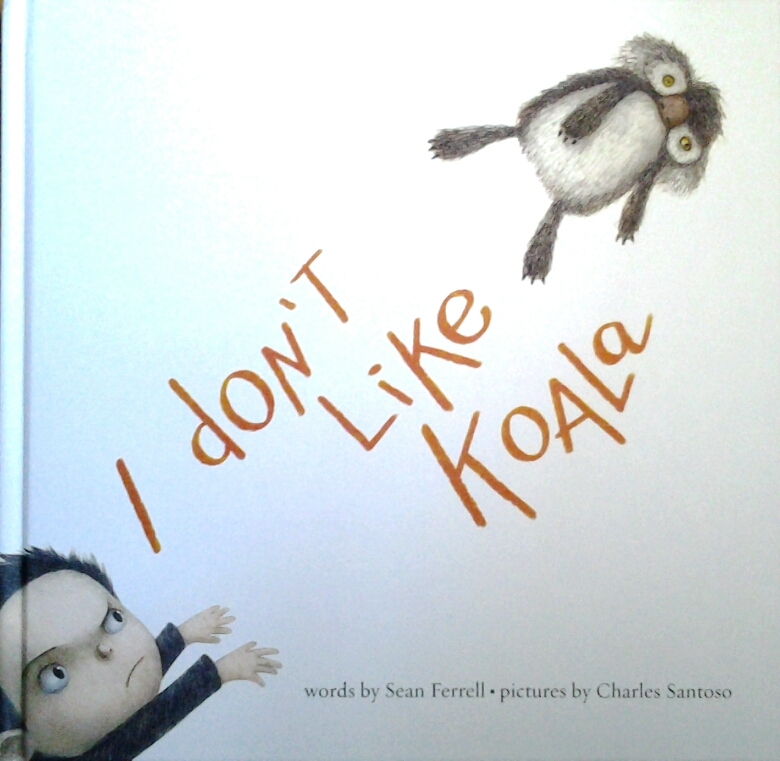 It is beautifully illustrated by Shane Devries and comes with an instrumental version of the story on CD. For me, music and audio storytelling seem to be the exceptions to the ‘freebie’ rule. 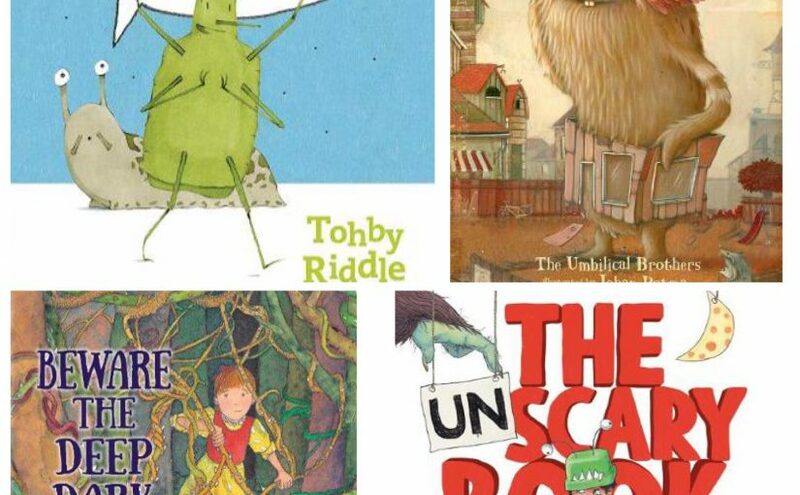 With picture books like The Sorcerer’s Apprentice and Never Smile at a Crocodile, the CDs not only add value to the books, they add a whole new experience for the reader. I’d be interested in your comments. 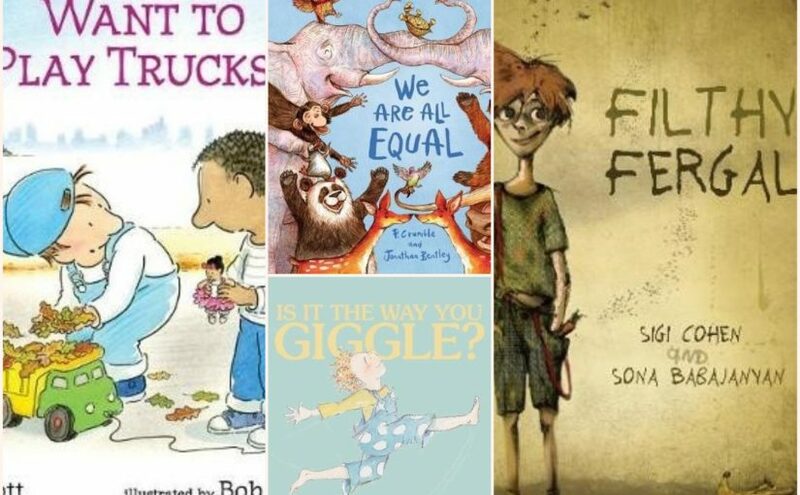 Have you noticed the trend to include freebies with picture books? What do you think of it? I have two boys who love gadgets and technology but they are also avid readers. So I always enjoy buying them books for Christmas. A lot of boys seem to be like mine, and they like to collect hundreds and hundreds of facts about all sorts of things from world’s biggest and world’s oldest to sporting facts and countries that watch the most TV. 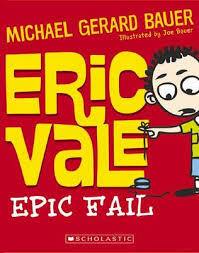 Scholastic has a selection of books out that make ideal Christmas gifts for the fact-finder, boy or girl. This book is both educational and fun and covers an amazing array of firsts in areas such as Air & Space, Entertainment, Exploration, Food, Money, Technology, Everyday Things and Transportation. It’s the sort of information that kids like to store in their brains and impress family and friends with. 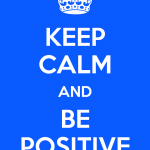 There are cartoon style illustrations and easy to follow text. For cricket enthusiasts like my boys, this book provides a feast of fascinating facts about cricket’s ultimate contest between England and Australia. There are funny bits, fab bits, personal bits and there’s the opportunity for readers to be a selector or to do their own quiz. 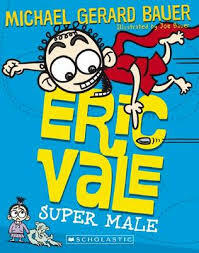 Even boys who don’t read much will have their interest peeked by the this book of diverse facts. In this full colour production they’ll find information on Australian records involving Big things and culture, sport, recreation, nature, science, popular culture, human-made records, money and mega trivia. Who knew that more than 70 canines were used in filming Hotel for Dogs…or that most of them were rescued from animal shelters…or that the ‘star’ dogs trained for more than 16 weeks for their roles? There are more than 250 amazing records in this book. I don’t know if you have a practical joker in your house, but I have two of them. 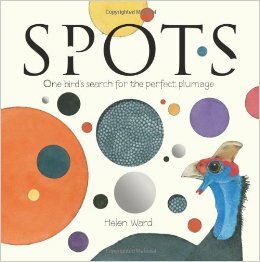 I suppose this book might be seen to be encouraging these antics, but on the upside, it can also encourage them to be creative. And even if your prankster doesn’t put any of the suggestions into practise (which I hope mine don’t), it will give them something to giggle about. This book carries a warning for pranksters not blame the publishers or contributors if they end up grounded.